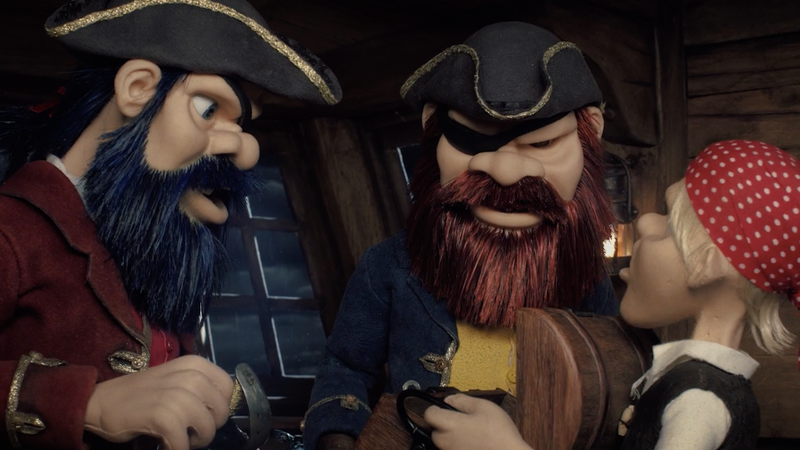 For the legendary pirates Bluebeard and Redbeard (aka Barbarossa), it seems that nothing could be better than sharing a growler of rum among friends. However, as this new stop-motion animated short film shows us, there is one thing that will turn pirate against pirate. Dark Barn Films recently released its debut animated film, RUM, filmed in stop-animation with the help of a few special effects. The largely dialogue-free film centers around Bluebeard and Redbeard sharing a few bottles of rum while dividing up some recent plunder—that is, until they come across a mysterious casket that contains the one thing they don’t want to share. I’m a major fan of stop-motion animation, especially from independent companies, and it’s great to see people keeping the medium alive and thriving in the face of growing dependence on CGI. I especially recommend watching some of Dark Barn’s behind-the-scenes videos to see how they put everything together. You can check out the short film below.